In response to volatility in fuel markets and concerns over generating capacity, in the 1980s many states began requiring utilities to undertake Integrated Resource Planning (IRP). Utilities were directed to examine both energy demand and supply and identify any risks that could prevent them from meeting their customers' long-term energy needs at reasonable costs. Typically, an IRP requires a utility to conduct load forecasting as well as demand-side, supply-side, integration and risk analyses. An IRP is a planning tool; it is neither a metric nor a measure to achieve particular goals. 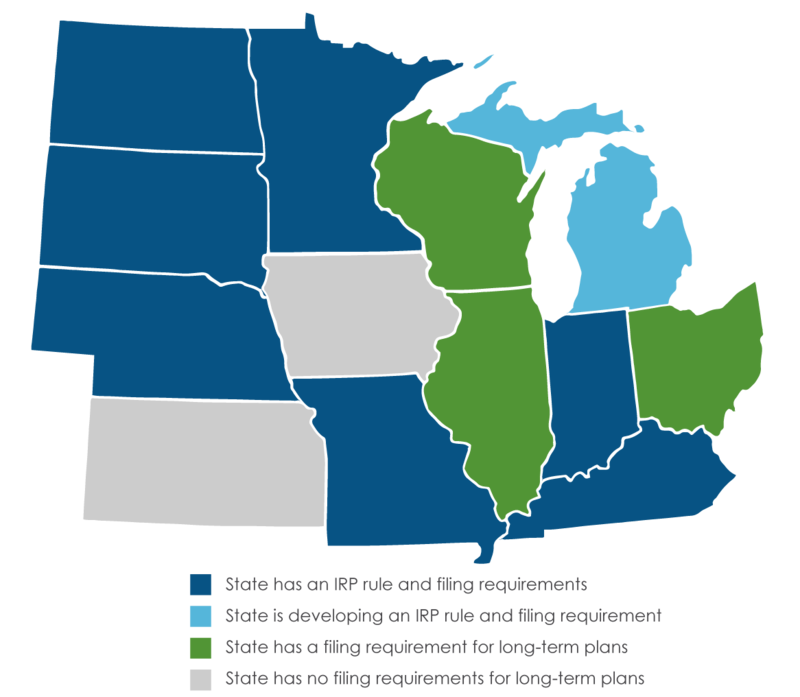 States across the Midwest require utilities to undertake an IRP process or similar planning process, such as when seeking a certificate of necessity for new generation. Among the thirteen states in the MEEA region, most require traditional integrated resource planning, and a few require a planning process that is non-traditional but which incorporates energy efficiency. The approaches to Integrated Resource Planning vary in some very significant ways, including who must file, how often the plan must be filed, the planning range, what is to be included and the detail in the plans. Integrated Resource Planning requirements are found in states both with an Energy Efficiency Resource Standard (EERS) and without.